Our Rose Oil Facial Rejuvenator is our most popular luxurious moisturizer. Customers rave about its romantic aroma and the amazing results especially for hydrating the skin. It helps minimize the appearance of wrinkles, fine lines, nourishes eye area, and minimizes dark circles. Rejuvenates & renourishes all skin types. Ideal for delicate skin and skin around eye area. 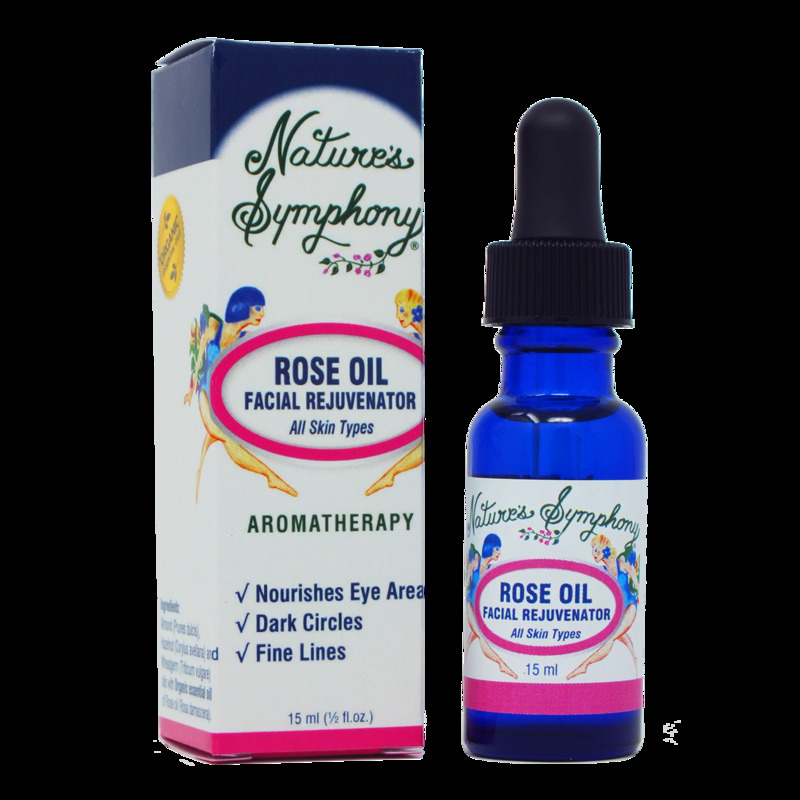 For better absorption mist face and neck first with Rose Hydrosol. Ingredients: Extra virgin sweet almond, hazelnut, & wheat germ oils, with pure organic essential oil of Bulgarian Rose. An antioxidant-rich, certified organic blend of precious plant oils which features Bulgarian Rose essential oil, a luxurious concentrated extract of rose blossoms handpicked at dawn and steam distilled the very same day.